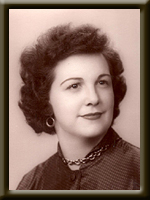 BURNS – Laura Belle, 86, passed away in Liverpool on November 27th, 2010. Born in Cambridge, Mass., on July 19th, 1924, she retired in 1990 to Milton, NS to be closer to her daughter and grandchildren. She is survived by her daughter Patricia (Burns) Whynot. Grandchildren Aaron (Janet) of Toronto, ON; Kristen (Luis) Barcalar, Mexico; Paige of Liverpool. She will be greatly missed by her best friends Shirley Mijal of Florida and Alice Dean of Chelsea, Mass. Pat and Paige we are thinking of you and are very sorry to hear of the passing of your Mother and Grandmother. Please accept our condolences. We hope you remember happy times you shared together and are comforted by those memories. Pat & Family,sorry to hear of your Moms passing.Thinking of you at this time. Pat & Family, our sincere sympathy to you and your family on the loss of your mother and grandmother. pat and family. sorry to hear of your mom’s passing pat .laura has had it rough the past couple of month’s. now she can rest in peace. thinking of you all at this time . sincerely brenda lawrence . TO PAT AND FAMILY , SO SORRY TO HEAR OF YOUR MOM’S PASSING -MY THOUGHTS ARE WITH YOU ALL AT THIS SAD TIME! My sympathy to you and your family at this difficult time. Sorry for the loss of your mother and grandmother. Laura was one of a kind. Pat, Aaron, Kristen and Paige. So sorry to hear of your Mom and Grandmother’s passing. My thoughts are with you all during this difficult time.